One of the very best things about summer is the chance to enjoy some fabulous al fresco feasts – so, we’re bringing you a mouth-watering course all about outdoor cooking and making the most of your BBQ. 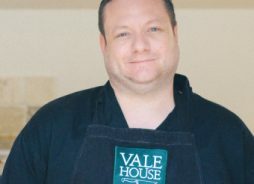 Led by professional chef Kieran Lenihan, this course will cover everything you need to know for a fantastic summertime gathering, from showstopping main dishes to scrumptious sides and a whole lot more. Kieran will take you through every stage required to turn you into a master of the BBQ. Starting with getting the right tools for the job and then moving on to a whole range of delicious recipes and techniques to wow your guests, including smoking your own fish and meats. You’ll learn how to create the perfect feast for all your family and friends, from irresistible veggie options to dishes the whole family will enjoy. At lunchtime, course attendees will share a delicious two course meal, and at the end of the day you’ll go home with a folder full of recipes as well as a few of your own scrumptious creations from the course.